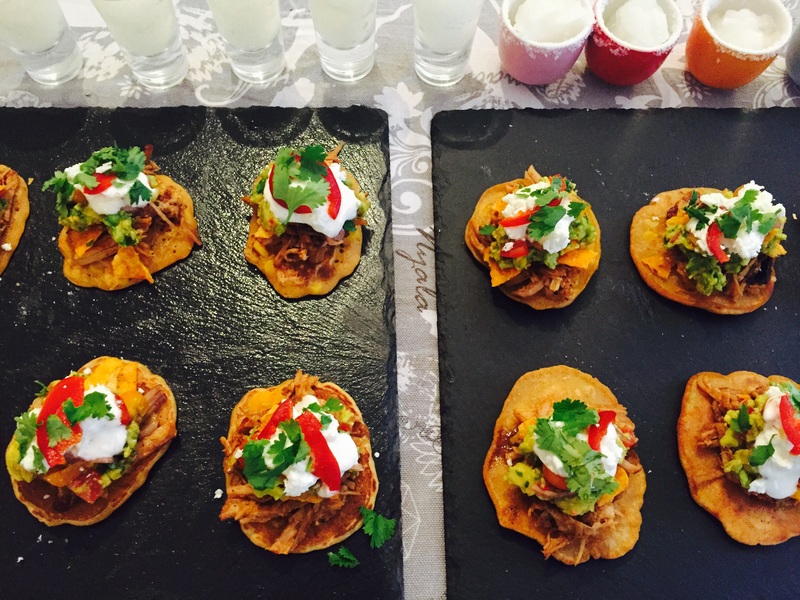 This is the wonderful sweetcorn fritter recipe that team Jooste presented at our Mexican cookoff. It seems that my recipe tab is getting filled up with mom Jooste recipes! At least she doesn’t mind and I am sure she is happy other people will get to enjoy some of the dishes! For this recipe, it is strongly advised that you use the KOO creamestyle sweetcorn. It will not be the same otherwise… You can find this in most large supermarkets or South African shops dotted around the city. Mix all the ingredients together to make a thick batter. Heat up a non-stick frying pan with a little oil and place spoonfuls of the batter in the pan. Be sure not to put too much in as you want each of the fritters to keep their shape and not run into each other. When you see bubbles forming on the top, tun them over. Once fully cooked, place the fitters onto kitchen towel before serving. These can be served as presented here with meat and salsa. You can enjoy them with any savoury dish, and they are predominantly enjoyed in South Africa as an accompaniment to breakfast. They are delicious with outdoor reared bacon, scrambled egg and a tomato and avocado salsa.